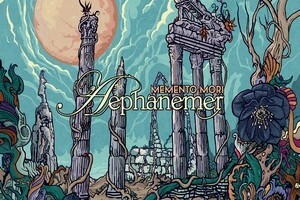 Aephanemer’s full-length debut, 2016’s Memento Mori, worked because the band was able to consistently provide epic melodies that riveted the listener from beginning to end. For the band’s second album, Prokopton, you can expect more or less the same level of intensity as the debut, but some of the fat has been trimmed. Resulting in a sophomore effort that carries the distinguishing qualities of its predecessor, but upping the charm factor. Truly it is the melodies that make Aephanemer such a treat to listen to. There’s never a shortage of anthemic, guitar-driven moments that will make even the most hardened melodic death metal cynic smile without knowing. The band’s format may take them in the Dark Tranquillity, Insomnium, and Kalmah directions, but each track feels nothing less than triumphant when you really get down to it. “Dissonance Within” and “Back Again” will leave you with goosebumps in their attack and simultaneous ability to mesmorize in the combination of glorious guitar melodies, synths, and strings. While it may seem a bit dense initially, the amount of layering woven in will allow you to hear something new with future listens. Probably the album’s greatest moment in that sense is the closer “If I Should Die,” in which they do what should be an impossible task – provide 9-minutes of captivating melodies without relenting. Seriously, there is no filler here – just an elegant closing touch that will make you realize that they saved the best for last. Considering the onslaught of the bombastic melodies and an approach that is mostly free of clean vocal use, there’s really no fatigue by the end of the album. Instead the rush of energy and grin-inducing melodies make for a tight release that is sure to impress. 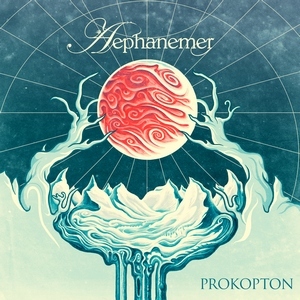 Prokopton tweaks and refines what Aephanemer have accomplished already and raises the stakes. As one of melodic death metal’s young hopefuls, they do a good job of rushing up to the front of the pack with their ability to channel catchiness and memorability with just the right amount of aggression. This one is bound to break them through to a larger melodeath crowd with its overlying quality.